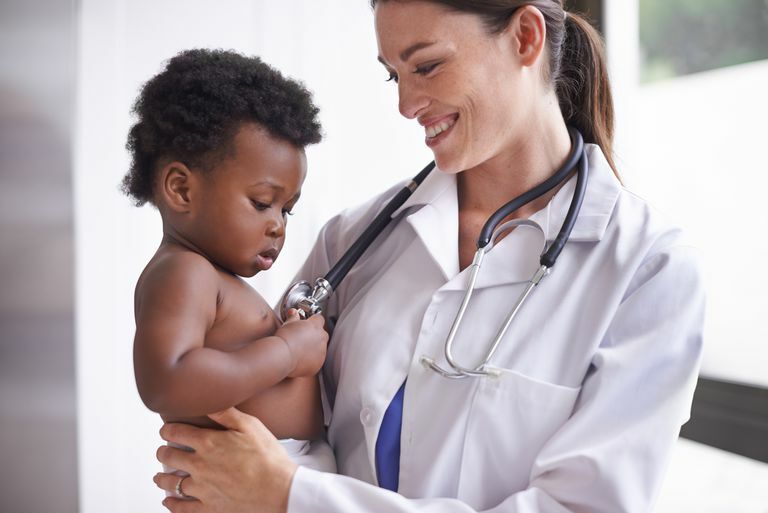 During your child's one-year-old medical exam it is not unusual for your pediatrician to send for a complete blood count (CBC). This CBC is used to screen for iron deficiency anemia as children transition from breast milk or formula to whole milk. You may be shocked when your pediatrician's office calls to inform you that your child is not anemic but that their white blood cell count, specifically the bacteria fighting cells called neutrophils, is low. At this point, you might feel a little scared and be wondering what is wrong. Fortunately, the most common reason for neutropenia (low neutrophil count) in children is a viral infection. During the viral infection, the production of neutrophils is reduced, which may result in neutropenia. When the infection clears, the neutrophil count returns to normal, so your pediatrician may recommend repeating the CBC in a week or two. If the neutropenia persists, your child may be referred to a hematologist to determine the cause of the neutropenia. Pediatric autoimmune neutropenia may also be called chronic benign neutropenia of childhood. This condition is similar to immune thrombocytopenia (ITP) and autoimmune hemolytic anemia (AIHA). Despite the fact that the bone marrow makes the neutrophils normally, the body incorrectly makes antibodies to neutrophils that mark them for destruction, leading to neutropenia. Pediatric autoimmune neutropenia typically presents in infants 6 - 15 months of age but can occur at any age, even into adulthood. Autoimmune neutropenia in combination with ITP or AIHA is called Evans Syndrome. Most children with autoimmune neutropenia have no symptoms. That is because, despite the exceptionally low neutrophil count, serious infections are rare. The neutropenia may be discovered on a CBC drew secondary to an ear or respiratory infection. Some children might experience mouth sores or skin infections. As with other forms of neutropenia, the first diagnostic test is the CBC. The absolute neutrophil count (ANC) is typically below 1000 cells per microliter and can be below 500. Usually, the hemoglobin and platelet count are normal. A peripheral blood smear, an examination of the blood cells under a microscope, may also be drawn. Although the number of neutrophils is low, they have a normal appearance. Next, your physician will likely obtain CBCs twice weekly for at least 6 weeks to ensure that your child does not have cyclic neutropenia (a condition where the neutrophils are only low for a couple of days every 21 days). Your physician may send for testing to determine if there are antibodies to the neutrophils, marking them from destruction. If this test is positive, it confirms the diagnosis. Unfortunately, if the test is negative it doesn't rule out autoimmune neutropenia. In some patients, anti-neutrophil antibodies are never identified. In these cases, if the age and presentation fit the picture of autoimmune neutropenia, the diagnosis is presumed. In rare cases, a bone marrow examination might be necessary to rule out other causes of neutropenia. This typically occurs in children whose presentation and infections don't fit the typical picture of pediatric autoimmune neutropenia. There is no specific treatment for autoimmune neutropenia of childhood. The anti-neutrophil antibodies will spontaneously disappear and the neutrophil count will return to normal. Spontaneous recovery occurs by 5 years of age, with neutropenia lasting on average 20 months. Because neutropenia increases the risk of infection, all fevers require medical evaluation. This typically consists of a CBC, blood culture (placing blood in glass bottles to look for bacteria), and at least one dose of antibiotics. If the ANC is less than 500 cells/mL, your child will likely be admitted to the hospital on IV antibiotics for observation. If your child looks well and the ANC is greater than 1000 cell/mL, you will likely be discharged home for outpatient follow-up. Medications used for other immune blood disorders (ITP, AIHA) like steroids and intravenous immune globulin (IVIG) are not as successful in autoimmune neutropenia. Sometimes filgrastim (G-CSF) can be used during active infections to stimulate the release of neutrophils from bone marrow to blood circulation. Coates TD. Immune neutropenia. In UpToDate, Post TW (Ed), UpToDate, Waltham, MA.